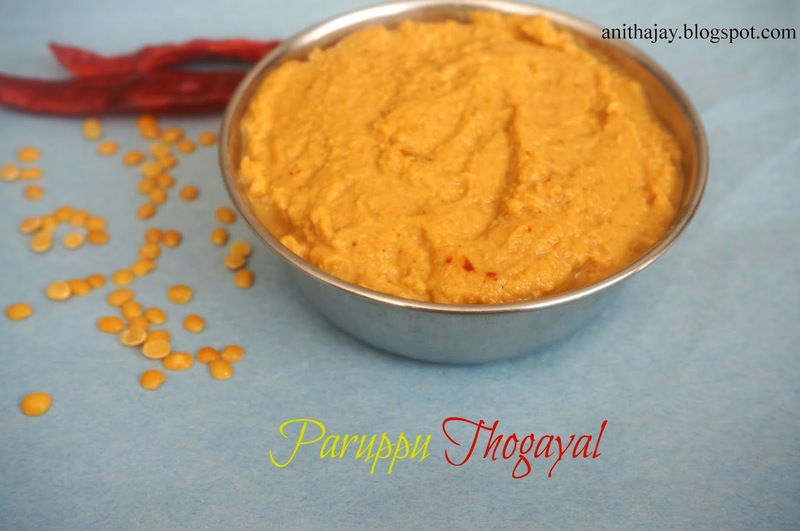 Paruppu Thogayal is authentic Brahmin recipe.My mom used to make this Paruppu Thogayal whenever she prepares Vatha Kuzhambu / Kara Kuzhambu and I love this combo. Heat oil in a pan,fry Toor dal until golden brown and keep aside. In a same pan add red chilli,pepper,garlic and grated coconut fry til coconut turns brown. Allow it cool and grind it as a coarse paste by adding water little by little.